Just replying to the test from Raiwa. BUT - the result, it didn't actually exclude the specials product I put in my cart along with others. Ok so its never really going to work for most people on selecting all products then. But then of course I can set it on Manufacturers with excluding specials selected. That way I still cover all my products and exclude specials. I've done this. Although when I highlighted all manufacturers, when it created the code - it only listed the first (this got me worried) but actually it does work on all manufacturers products, and excludes specials. Great - some way to get it working. All the calculations are now correct as well! thanks for your time in helping me suss this out and working out whats possible and limitations also. It would still be great to sub-total after the discount etc applied, so I'll watch out in case that gets added later by yourself Raiwa or Lambros. The old discount codes I was using pre BS was ot_discount_coupon_codes_3_34_osc2.3_1_2_3. 1) On the one hand - that's brilliant Tsimi. Its allowed me to get it to work excluding specials. Can I just suggest putting a tiny bit of text on that page to say - please highlight products from the below list that you want included. It wasn't obvious that these actually needed highlighting and that it wouldn't work with them just listed there. 2) Yes I've run into the problem that Raiwa has identified above. The site has 1200 products. Not huge, but its a working site. The list only let me select up to J!! So half my products were left off. Is there any way of uping the max. post size. Where is this defined? So now I'm getting confused. Under Catalog / Discount codes - Yes I can tick the box for 'excludes specials' when set on Applies to: Products or Categories or Manufacturers, and it will let me click the Save button, but on any of these 'Applies to' it will NOT create the discount code. I click on save and it does nothing. 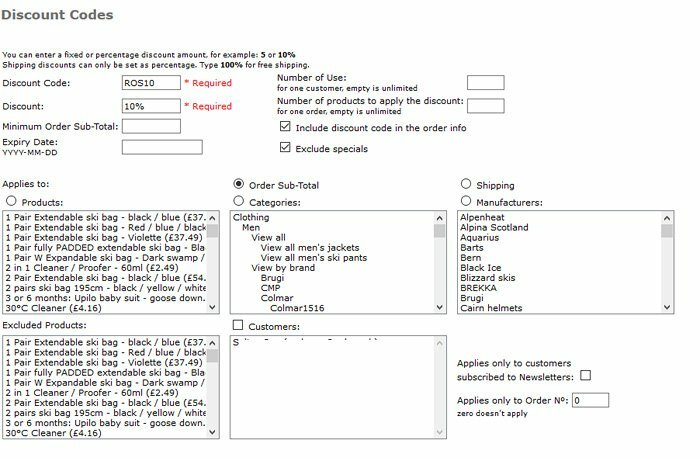 BUT when I select Applies to ' Order Sub-Total ' - it greys out the exclude specials option and when I click on the Save button this time it takes me back to the discount code list showing that a discount code has been created. My new discount code is now added to the list. It also works on Applies to 'Shipping'. But when any other Applies to are selected - then the code will not be created upon clicking on the save button. Is this the behaviour that you are expecting? 1) Are you, when on your site - able to choose select Products and then choose' exclude Specials' and click save and it actually creates that code successfully and adds it to you list? 2) Then does that code follow through and work and actually exclude the specials when you try it out in cart view? Thanks Raiwa, I'm trying to get the old module working in BS, as that did work correctly. I'm part way there, but need to iron out some other things. I'll watch this space also for when you're able to look at the new BS version. The adding up in the BS version is a problem (obviously has to be accurate) , and really it does need to show a sub-total 'after' the discount applied. At present it looks like tax is added on after everything else although its already been accounted for (see my image above), so for the sub-total to show the amount after tax and after discount applied will be much clearer to the customer. As it did in the older version. Yes I think it may take a while to iron out problems with this one but thank you for looking at it. So the code in this is straight out of the box and I have of course uploaded it. So nothing I've done or not done to disrupt this. Hi Raiwa. I'm sorry to say I've found some more things not working quite as they should. I've included a screen shot. So firstly one of those items in the basket is a special, so shouldn't be included anyway. But the totaling is wrong. It should all total to £151.46 not £152.57. So something isn't quite working right. ?? Just tried different option and actually it doesn't exclude discounted items (specials) when any Applies to option is selected. I've changed it back to the original code and the same. So something is going wrong if it is not excluding Specials. Where can I check the code for this? Raiwa, so with the change to line 192 you sent - it now lets me tick the Exclude Specials box (which using Applies to order Sub Total) but it does not exclude the product that is a reduced item at the customers checkout. I've just installed the Discount code BS on my new-ish BS site ( v2.3.4.1 CE ). I did use the previous version Discount code add on my previous non BS site. 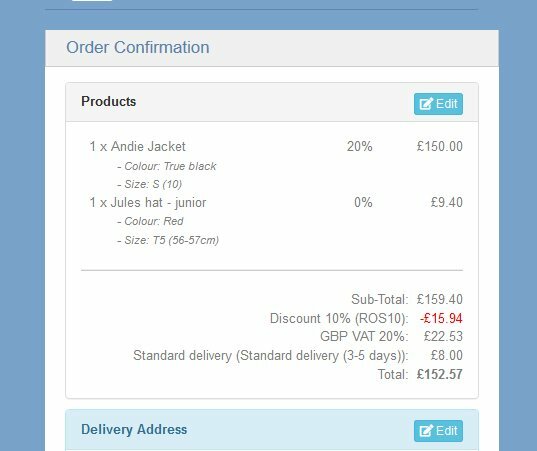 1) I used to be able to configure whether to display the order subtotal either way - including the discount, or before the discount is applied. I did this just by changing the sort order under Order Total by putting Discount code before Sub-Total. Then the sub-total told the customer the amount including the discount. So yes I can change the sort order still (under Order Total) but the sub-total will not now display the price including discount. Is there anyway I can get this functionality back? 2) Exclude specials tick box area is greyed out when set on applies to Order-sub total. Was there a reason for this? Not sure if I've missed anything so any help would be gratefully received! yes I get the opposite. Installation is a new one and all else is working well. I'll test more when I have the chance. But yes - strange we are getting opposite results! Raiwa, I'm not sure if this is a bug or not. It may only have been behaving like this on my site but thought I'd feed back to you. When I have products with attributes attached, all behaves well with the QTPro add on - the admin/stock.php page. I can add stock, I can delete all stock and start again. All fine. However, on my site I have some products that don't have attributes attached and I just rely on the table = products, products_quantity field for the products quantity. When I add stock to one of these products I don't expect it to create an entry in products_stock also. Which is does with the current add on - as the button defaults to Add not Update when stock is 0. The problem being, the Add button automatically creates an entry corresponding to the products id in table products_stock. So what's the problem with that? Well on products WITHOUT attributes, it causes the QTPro doctor to complain that this is a 'sick' product. going back to the original way, from an older QTPro contribution. I tweaked in a couple of other places, but this seems to work. I don't know if I'm causing myself other problems here, hopefully not, but now I can take a product without attributes down to 0 stock again, then add stock back to it - now the button is Update not Add!! and no 'sick product' messages in QTPro doctor and no forced entry into table products_stock. If you have a better solution, please let me know. Otherwise this is just feedback on problems encountered. Just adding this to bootstrap site - a number of years later! I'm finding that LPAD on attNum1 is needed for it to work correctly in this version. WHERE products_id=" .  (int)$_GET['products_id'] ." So in products_listing.php the above calls the short description. Can anyone tell me where the 20 words length of the short description is defined? Can't seem to find this. So trying to change the font colour on this horizontal navigation menu. I don't just want to go to inverse. I've tried every style I can, to see what is governing this. navbar-default navbar-nav dropdown dropdown-toggle none work! In the end I had to hack it and wrote the style color #FFFFF inline - which I hate doing! It will do for now, but can anyone shed any light on this. What style can I change a style in the css to change the colour on the main product category titles, but leave the dropdown text in black? Whilst changing the categories button to a hamburger button was relatively simply, the styles are not. but you can over-ride this by creating this style in user.css if you don't want to meddle with bootstrap.min.css. So float to left and adjust other spacing! which draws the 3 lines of the hamburger! just need to left float this now. Now to complete the horizontal menu it would be great it I can change the categories button that appears on re-size to a hamburger button. Of course I'll have to re-think the top menu hamburger button, but I think its better placed for the navigation bar, people are more accustom to it there. I'll post when I work out how to do this, but if anyone already has I would love to hear. I love this add on. So simple to install. But can anyone tell me, how do I now disable the vertical menu. I'm probably missing the obvious! Yes, after moving server etc it works. Yipee! Strangely again the OSCommerce v2.3.4.1 CE I'd installed from a zip file and during the installation it had indicated the old version of php was fine, showing a thumbs up by the PHP version during the installation screens. For some reason doesn't pick up on this in the install screens correctly! Sorry I had missed this on your QTPro version Raiwa. So all good now and thanks for the help. 5. [mandatory] In Admin =>Product Attributes => Header Tags install and configure the module "QT Pro Stock Check". i.e. not in Product Attributes. A typo I think but it may be worth changing this for the next update. Its the PHP version. Strangely the OSCommerce 2.3.4.1. CE Frozen installation seems to work on an earlier php than 7, but maybe all the functionality isn't there. I'm setting up on another server area where I can switch the php higher. I'll report back - hopefully this is the solution and all will then work! Yes I'm using a clean 2.3.4.1. CE Frozen installation. I did not modify the content modules. Everything was from the QTPro 2.3.4.1 CE Frozen download and not modified. The Amended files, also I used the ones from your download, because this is a clean install so I could use your ones. includes / modules / content / product_info / cm_pi_qtpro_options.php (which I took from the download NEW files) or there is a problem with calling the module. The only Error_logs I found were in the admin folder and install, but only listed old errors from previous dates. The page is not calling the module today and no error logs are being generated for today. My hosting company also looked in their error log to see if anything is being generated. So if the Options module file is there and correct. What could be causing it NOT to call this? It calls all other module files correctly when this one is turned off. Any ideas? and thanks for the help! Yes, checked this. But used your file for this as it was on a new OSCommerce installation.